Drive your car, truck, or motorcycle on Interstate 80 and take exit 33 to the Village of Annawan located at the cross roads of historic State Highway Route 6 and Illinois Highway 78. The Annawan main street offers a thriving downtown business community with a vintage flair and friendly faces. This small town gem is ideal for aspiring entrepreneurs with a desire to begin and grow a business. Education and technology play important roles in the future growth and development of Annawan. Community leaders are open to all business possibilities, offering incentives for small business expansion to enhancement of our 100 million gallon ethanol plant and bio-diesel facility. Annawan offers the advantage and convenience of living near the Quad Cities metropolitan area while offering the peacefulness of small town Illinois. 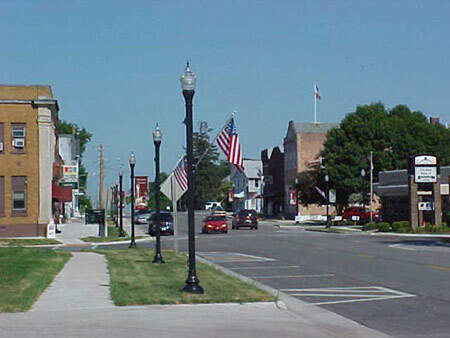 We invite you to live, learn and grow in Annawan, Illinois. The calendar on our calendar page has been updated. New Water and Sewer Billing info may be found on the Water and Sewer page. WE WON!!!!!!!!!!!!!! Thanks so much for voting toward the new playground update at Annawan Grade School! Having an event? Need a great space? Rent the new Community Center or Howes Park Shelter today!